HBO is hittin’ the couch. Today, the network announced their new series Crashing will debut in February. The comedy stars Pete Holmes as an aspiring comedian who ends up sleeping on his friends’ couches after he discovers his wife cheating on him. The cast also includes Lauren Lapkus, George Basil, Dave Attell, Hannibal Burress, Artie Lange, T.J. Miller, Jim Norton, Rachael Ray, and Sarah Silverman. Crashing premieres on February 19th at 10:30 p.m. ET/PT. Pete is a sheltered suburbanite who married his childhood sweetheart and dreams of making it as a stand-up comedian. But when he finds out his wife is cheating on him, Pete’s world unravels, forcing him to reevaluate his priorities and plunging him into the deep end of the rough-and-tumble New York comedy scene. 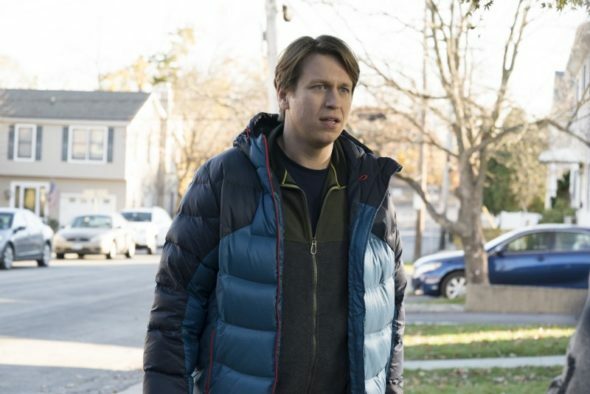 Starring Pete Holmes, the comedy series CRASHING launches its eight-episode season SUNDAY, FEB. 19 (10:30–11:00 p.m. ET/PT). Holmes and Judd Apatow (HBO’s “Girls”) executive produce the show, which draws on Holmes’ own experiences as a comedian, offering a behind-the-scenes look at the unpredictable world of stand-up comedy. Apatow also directs the first and eighth episode of the series. What do you think? Are you a fan of Pete Holmes? Will you watch Crashing? More about: Crashing, Crashing: canceled or renewed?, HBO TV shows: canceled or renewed?